BuzzFeed has been paying a former top FBI and White House cybersecurity official to traverse the globe for the past six months on a secret mission to corroborate various claims in the Trump-Russia dossier assembled by ex-UK Spy Christopher Steele. Steele was commissioned by Fusion GPS, whose efforts were funded in large part by Hillary Clinton and the DNC - and then used by the FBI to obtain a FISA warrant to spy on a Trump campaign adviser and those he communicated with. The probe, commissioned by Buzzfeed - which published the Steele dossier on January 11, 2017 - is being conducted by Anthony Ferrante - formerly the FBI's top official in charge of "cyber incident response" at the U.S. National Security Council under the Obama administration. Ferrante is leading the investigation from his new employer, D.C.-based business advisory firm, Forensic Technologies International (FTI) consulting reports Foreign Policy. Considering that much of the Steele dossier came from a collaboration with high level Kremlin officials (a collusion if you will), one has to wonder exactly what channels Ferrante and FTI have tapped in order to access the information. Also of note, the FBI reportedly refused to pay Christopher Steele an agreed upon $50,000 for his efforts when he could not verify the claims in his own dossier, according to an April, 2017 report in the New York Times. Ferrante's investigation would also remove much of the egg from the face of the beleaguered FBI - which used the unverified Steele dossier to obtain a surveillance warrant on Trump campaign associate, Carter Page. Although the contents of the dossier were unable to be corroborated, the FBI told the Foreign Intelligence Surveillance Act (FISA) court that Steele's reputation was solid - and used a Yahoo News article written by Michael Isikoff to support the FISA application. The Isikoff article, however, contained information provided by Steele. In other words, the FBI made it appear to the FISA court that two separate sources supported their application, when in fact they both came from Steele. BuzzFeed originally hired FTI to verify various claims made in the dossier while preparing to defend themselves against a lawsuit by Cyprus-based Russian tech executive Aleksej Gubarev. Gubarev is suing Steele's UK-based Orbis Business Intelligence because the Trump-Russia dossier claimed Gubarev's companies used "botnets and port traffic to transmit viruses, plant bugs and steal data." While one key name in the dossier was blackened out by BuzzFeed, Gubarev’s was not. He alleges that he was never contacted for comment, suffering reputational harm in the process. Since hiring Ferrante and FTI, the scope of the BuzzFeed investigation has expanded. Evan Fray-Witzer, a lawyer for Gubarev, who has strongly denied those claims, mocked BuzzFeed’s efforts - reports Foreign Policy. Last month Buzzfeed was also sued by President Trump's personal lawyer, Michael Cohen, over his inclusion in the Steele dossier. 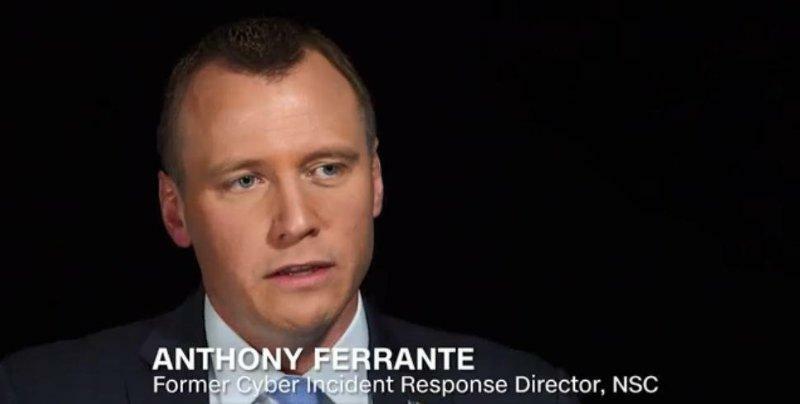 Ferrante joined the FBI in 2005 as a special agent, operating out of the bureau's New York field office where he worked on cyber crimes and threats to national security. The following year, he was selected as a member of the agency's Cyber Action Team (CAT), "a group of experts who deploy globally to respond to critical cyber incidents." If Ferrante is successful in his efforts, we wonder if the FBI will pay him the $50,000 Steele missed out on.